I stumbled across a very ironic campaign contribution this evening, as I was glancing through some reports from the Oklahoma Ethics Commission. Sometimes, a candidate will loan their campaign money, which can be paid back at a future date. In some cases, it takes several years to 'retire' campaign debt. Take State Auditor Gary Jones. In his 2010 race, Gary loaned his campaign $60,000. During the course of that race, he was outspent by the Democrat incumbent $806,000 to $134,000. 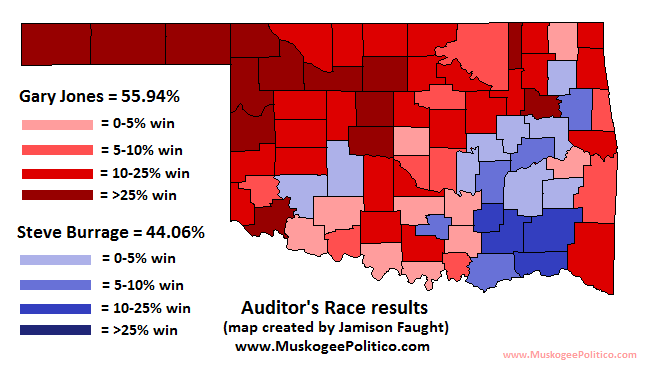 ... Steve Burrage was the sitting State Auditor in 2010 when Gary Jones defeated him. Steve Burrage donated to Gary Jones to help retire debt incurred beating himself! I think it's safe to say there's no hard feelings about that race!